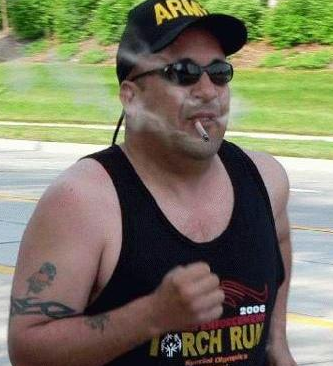 An Open Letter to Joggers: People Are Trying To Smoke Here! You’ve asked the smokers along your running route to “abide by the unwritten rules of smoking appropriateness and do not harsh the mellow of my running space with nicotine clouds.” In return for this favor, you will “suspend the overly-theatrical waving away of your smoke clouds and the pulling of my shirt over my head to block the polluted air when you walk past.” Well, as gracious as that offer is, the smoking population of this city would rather you not suspend these flailing motions of yours. We find those quite humorous! Instead, the multitudes of nicotine-addled men and women will probably continue to smoke in a variety of areas, including stoops, fire escapes, certain bars after certain hours, and-yes-parks. If the aromatic plumes happen to waft over toward your chosen path of exercise, there’s not much the smokers can do about it. Perhaps there is another route you can plan for yourself? Or maybe even another city where you can take this lovely route of yours? Meanwhile, please keep up those hilarious arm movements that you so cruelly threaten to take away.